The trade in counterfeit medicine is costing the lives of thousands of people across developing countries. 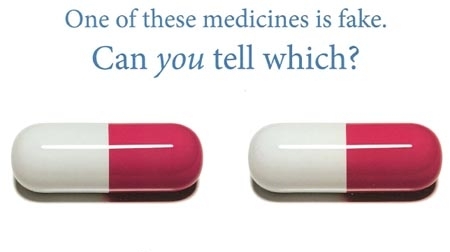 Criminals have increasingly turned to the production, transportation and supply of fake medicines as they represent a relatively low risk crime, but offer a high reward in terms of profit, as laws in many countries still class counterfeit drugs in the same category as faking a Nike running shoe or Adidas T-Shirt. From a logistical point of view, medicines, whether they be in pill, liquid or capsule form are small, yet high in value, so they can be easily smuggled across borders and they can be manufactured in a relatively discrete manner. From the consumer’s point of view, fake drugs can be deadly, at best a counterfeit drug will have no effect, at worst they can be filled with paint, rat poison and other deadly substances. The scale of the problem is huge and underreported, the World Health Organisation estimates that 25% of medicines in developing countries are counterfeited, and across East Asia and Africa between 30 – 60 % of drugs are substandard. The main manufacturers and exporters of fake drugs are based in China and India, who then export their product to primarily developing countries, increasingly via internet sales or through more traditional routes. In a recent well publicized case in Lahore, Pakistani heart patients complained of severe internal bleeding in different parts of the body after receiving counterfeit medicines from the Pakistan Institute of Cardiology, and as a result over 100 people died. Taking the fake medicines triggered a reaction in patients’ bone marrow which stopped the production of white blood cells and caused chest infections and other complications leading to illness or death. Counterfeit drugs harm patients in different ways. Firstly they do not provide effective treatment as they rarely contain the active ingredient. Even if the medicine does have the active ingredient, it will usually be in the wrong dosage, usually too small to be effective. Secondly, the medicines can contain deadly extra ingredients such as paint or the anti-freeze in cough syrup which killed 84 children in Niger. Thirdly a small dose of an active ingredient may allow the emergence of drug resistance strains of disease – an increasing problem with tuberculosis and malaria. Fourthly the prevalence of counterfeit drugs may reduce belief in the medical system as a whole, driving people to traditional medicine, faith healers etc. The scale of this trade has been estimated anywhere up to $75 billion worldwide, and kills up to 700,000 people worldwide according to The US Centre for Medicine in the Public Interest and now drug companies and law enforcement bodies are fighting back against the criminals. A Nigerian company called Sproxil have pioneered an anti-counterfeiting device in the form of the scratch card inside each package of pills, scratching the card reveals a number which when texted to Sproxil lets the user know whether the drug is the real thing or a fake. Interpol have also launched a campaign against fake medicines, fronted with a song by world famous Senegalese musician Youssou N’Dour, which aims to raise awareness of fake medicines across Africa. Interpol now has 3 concrete flagship operations across world, Mamba in Eastern Africa, Storm in South-east Asia and Pangea which aims to fight counterfeit medicine on the internet. While operations like Storm have had results, seizing 20 million pills, closing 100 suspect pharmacies and arresting 33 people, I suspect that the fight against counterfeit medicine is only just beginning. Previous Previous post: Will South – South Trade Revolutionise the Global Economy?